This grape sorbet is from a special heritage recipe that dates back to my great-grandfather's gardening days in the 1950s. There was always a bowl of his fresh grapes on the table during summer, but when the nights started getting cold, the grapes on the vine became a bit soft. Always frugal, he came up with his own version of a sorbet, so he could use every last grape. 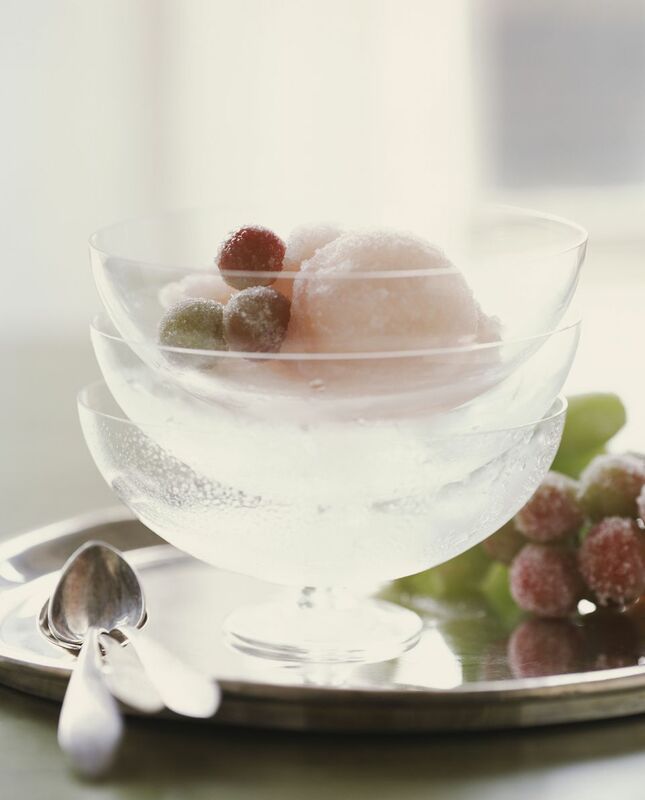 Cook's note: This grape sorbet recipe can be made with green grapes or red grapes. Process the grapes and sugar in a food processor or blender for 2 to 3 minutes, until the sugar is completely dissolved and the grape skins are pulverized. Press the mixture through a fine-mesh sieve and discard the solids. Stir the grape puree with the lemon juice and freeze the mixture in an ice-cream maker according to the manufacturer's instructions.